Seoul Market, Colorado Springs, CO USA. 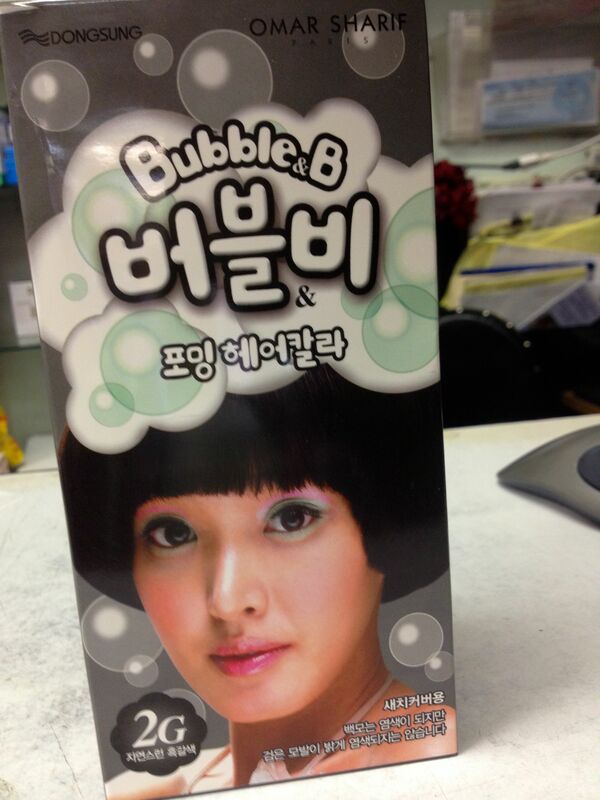 l am completely fascinated by “Bubble & B,” which turns out to be a foaming hair coloring kit from Korea. 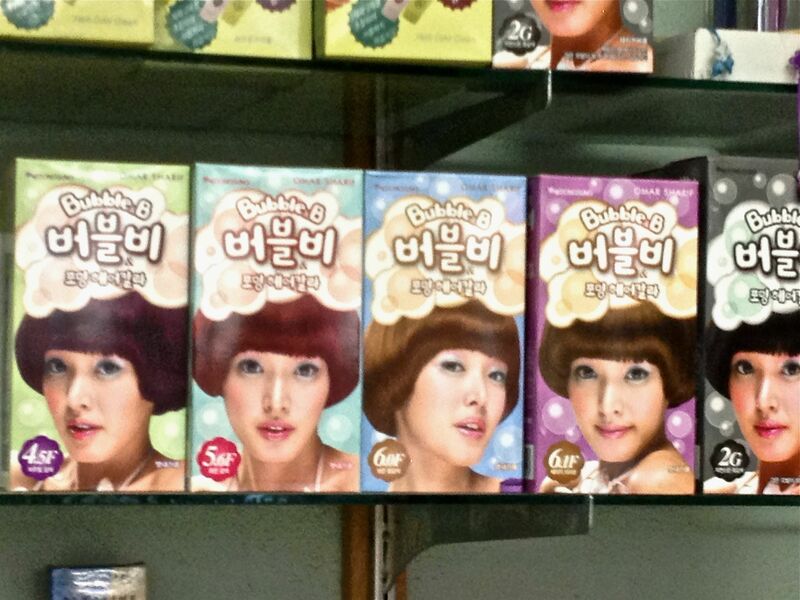 I asked Seoul Market’s shopkeeper if I could take a photo of the product and she said “Sure!” and got it down from the counter and placed it close to me. 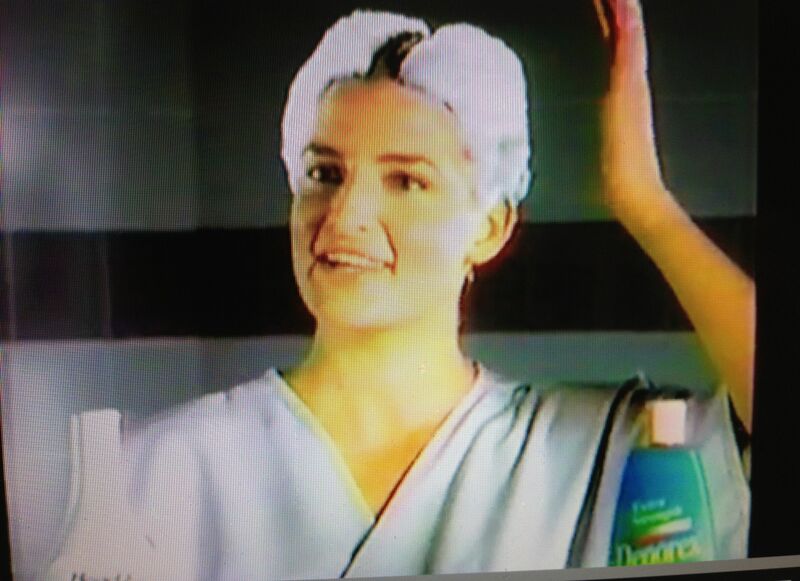 As I mentioned in an earlier post about visiting this same market, I thought it was shampoo and it reminded me of the Denorex commercial when people test the lather of Denorex against another shampoo directly on their heads. Classic. 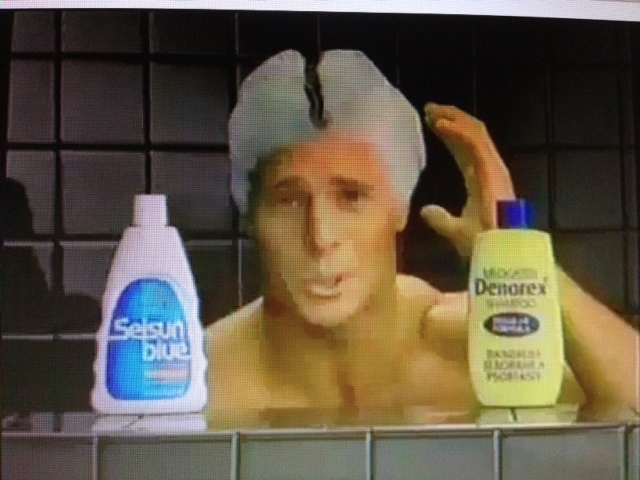 This entry was posted in Culture, Marketing and Product Packaging, Travel, Travel Humor, Uncategorized and tagged Bubble & B, hair dye, International products and packaging, Korean products by stephglaser. Bookmark the permalink. That’s one impressive bowl cut, too. Totally! I believe I had that same cut after seeing Dorothy Hamill in the (1976??) Olympics.